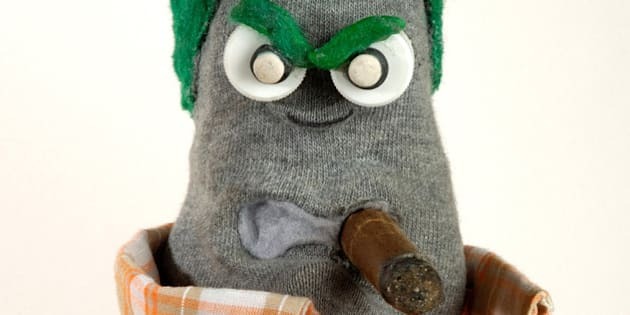 Usually Canadian comedian Ed The Sock (voiced by Steven Kerzner) delivers inappropriate, non-PC humour and steers clear of serious issues. But in a new Facebook post, he weighs in on the scandal surrounding ex-CBC radio host Jian Ghomeshi. Ghomeshi was fired by the CBC on Oct. 26. Several women have made allegations in media reports that he abused them physically and or sexually. Three women have filed abuse complaints with Toronto police, who are investigating. Ghomeshi has not been charged with a crime. He has launched a $55-million lawsuit against the CBC for breach of confidence and defamation. In a poignant, passionate post, Kerzner cites his 27-year media career, stating that he'd sensed "smug" coming off Ghomeshi. Kerzner even refers to former MuchMusic colleague George Stroumboulopoulos, saying his gracious behaviour to a lowly intern is in stark contrast to Ghomeshi's alleged "hate-f**k" statement to a CBC intern.